CALIFORNIA LANDLORD’S GUIDE TO THE EVICTION PROCESS WARNING: The Law Offices of David S. Schonfeld, A Professional Law Corporation is not advising you or giving you specific legal advice and you are ultimately responsible for the proper use of any given form. We only give legal advice to those clients who have retained the firm so if you need further assistance, please contact our office immediately. Please note that the information contained on this website is specifically for CALIFORNIA evictions which are not in rent-controlled jurisdictions. If your property is outside of California or located in a rent controlled area, you should seek the advice of a qualified attorney in your area. The discussion below is not intended for rent-controlled property, commercial property or property outside of California and should not be construed as specific legal advice. The following is simply an overview of the unlawful detainer process in California. How Do I Start An Eviction? In order for a Landlord to initiate the eviction process, California law requires all persons residing in the premises to be served with a Notice. The most common types of notices are discussed below. If preparation or service of the Notice is done incorrectly or not at all and the tenant raises it as a defense, the Court will dismiss the Landlord’s complaint due to a technical defect and the tenant will prevail at Court. A. The 3 Day Notice To Pay Rent Or Quit. This Notice is used when the tenant has failed to pay the full rent due and owing for the particular rental period. All tenants named in the rental agreement must be listed on the notice as well as the names of all other occupants if known. The complete property address and county must be on the notice including the apartment number of the unit if applicable. Finally, the exact amount of rent must be demanded in the notice without any additional amounts for late charges, interest or other penalties. If any charges other than rent are included on the 3 Day Notice to Pay Rent or Quit, California case law holds that the notice is fatally defective and the Landlord’s case will be dismissed. Be sure to date and sign the notice and fill out a proof of service indicating the date and method of service. B. THE 30 DAY NOTICE TO TERMINATE TENANCY. A 30-day notice may be used to terminate a month to month tenancy. 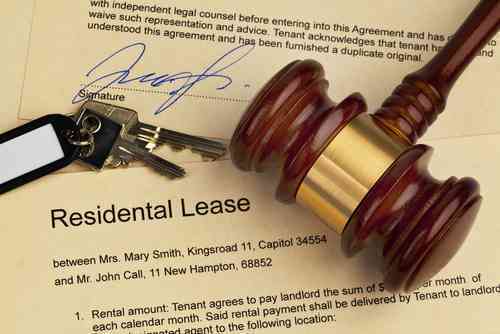 It cannot be used to terminate a fixed term lease agreement during the term of the lease. A 30 Day Notice to Terminate Tenancy may also be served in situations where the owner of a property is selling a single family home or condominium that is in an open escrow but there are very narrow restrictions that must be complied with by the owner. Please call our firm for more details if you are in this situation. The critical point to remember is that the Landlord must not accept any rent payments to cover any period of time after the expiration of the notice date. If the tenant tenders a rent payment to cover a period of time after the expiration of the 30 days, it must be returned immediately to the tenant to avoid a waiver of the 30-day notice. C. THE 3 DAY NOTICE TO CURE BREACH OF COVENANT OR QUIT. This type of notice is used when the tenant has breached some material term of the rental agreement other than nonpayment of rent, i.e., No Pets clause, subletting without Landlord’s consent, or not paying late fees. The Notice essentially gives the tenant 3 full days to correct the violation or move out of the premises. Tenants will normally contest notices of this type in court so it is essential that the Landlord has witnesses, photographs, and other evidence to prove to the court that the breach did in fact occur. In a situation where there is a pet or constant late payments, it is better to simply serve a 30 Day Notice to terminate the tenancy (if it is month to month) so that the tenant has additional time to vacate. A 30 Day Notice reduces the chances that the case will be contested at court since most tenants cannot vacate the premises in 3 days. D. THE 3 DAY NOTICE TO QUIT FOR COMMITTING A LEGAL NUISANCE. This notice is similar to the previous notice but is used when the tenant is engaging in criminal activity or other acts which are harmful to other occupants of the property, thereby constituting a legal nuisance. Such acts include illegal drug activity, prostitution, and in some cases gang activity. Code of Civil Procedure, Section 1161 provides the legal basis whereby a landlord can serve a 3 Day Notice to Quit on a tenant who “…illegally sells a controlled substance upon the premises or uses the premises to further that purpose…” Again, the Landlord is advised to have independent witnesses (other tenants who observed the illegal activities), police officer testimony and other evidence to sustain the Landlord’s burden of proof should the tenant contest the matter at trial. It is best to have an attorney prepare this type of Notice. HOW DO I SERVE THE NOTICE? 1. Personal Service. This is the best method of service and simply means that each occupant of the premises is handed a copy of the notice by the landlord or landlord’s agent. The tenant may be served with the notice at his or her place of business. The original notice should be retained by the Landlord and a proof of service completed. 2. Substitute Service. This is accomplished where an individual of suitable age and discretion (over 18 and competent to understand what the notice is) is handed a copy of the notice at the premises with another copy mailed to the premises on the same day via first class mail. Certified mail is acceptable as long a copy is also sent via first class mail. 3. Post & Mail. In this situation, the notice is posted on the front door of the premises and mailed the same day via first class mail. Please note that substitute service and post and mail service are acceptable methods of service but the server should always attempt personal service on the tenants either at the premises or the tenant’s place of employment if known. WHEN DOES THE 3 DAY NOTICE EXPIRE? The following is a simple chart to help determine when the 3-day notice legally expires. Some cases are lost at court because the landlord or attorney filed the case before the 3 full days have expired. VERY IMPORTANT: Please note that if the last day falls on a legal holiday, the tenant is given an extra day to comply. Example: a 3-day notice served on January 2nd is improper because January 1st is a legal holiday so that the rent is not late if paid on January 2nd. WHAT HAPPENS AFTER THE NOTICE EXPIRES? If there has been no compliance by the tenant with the Notice, then the Landlord must commence an unlawful detainer action (eviction). The Landlord cannot simply change the locks or take possession of the premises without a Court order or a voluntary surrender of the premises by the tenant. WHAT HAPPENS AFTER THE TENANT IS SERVED WITH THE UNLAWFUL DETAINER LAWSUIT? A. THE UNCONTESTED CASE: No Court Appearance. In about half of the cases, the tenant will not respond to the unlawful detainer lawsuit so that the landlord can have a judgment for possession entered by the Court. Once the judgment for possession is entered by the court clerk, the case is sent to the Sheriff’s office for lockout proceedings. The Sheriff drives to the property and posts a 5 Day Notice To Vacate on the front door. If the tenants fail to vacate within that period of time, the Sheriff will come out a second time and physically lock out the tenants and possession will be restored to the Landlord. It is advisable to change the locks so that the tenant cannot break into the property. B. THE CONTESTED CASE: One or more court appearances. Some tenants may have good and legitimate defenses to an unlawful detainer action. In those cases, the tenant should win the case against the landlord if there are glaring deficiencies in the landlord’s paperwork or serious habitability problems with the premises. Note: This firm will not knowingly accept any cases from landlords who have no legitimate grounds for evicting a tenant or who seek to evict a tenant out of retaliation because the tenant reported the landlord to Code Enforcement for serious habitability problems. We have a professional and ethical responsibility not to file any legal action for any improper purpose or to file a lawsuit which may result in sanctions or a judgment against the client instead of the landlord. Unfortunately, there are many eviction delay services available to the unscrupulous tenant and, for a nominal fee, the tenant can file various frivolous motions with the court to temporarily halt the eviction proceeding. Many times, the tenant will not even bother to mail a copy of the Answer or other motion to the Landlord’s attorney in an effort to “sandbag” them. It is frustrating to be involved with a tenant who pulls these legal tricks and maneuvers but the California court system allows tenants to file the following response/motions regardless of whether there is any merit or truth in them. 1. ANSWER TO COMPLAINT. This is the most common pleading filed by tenants and means that they want to go to have a trial with the Landlord. 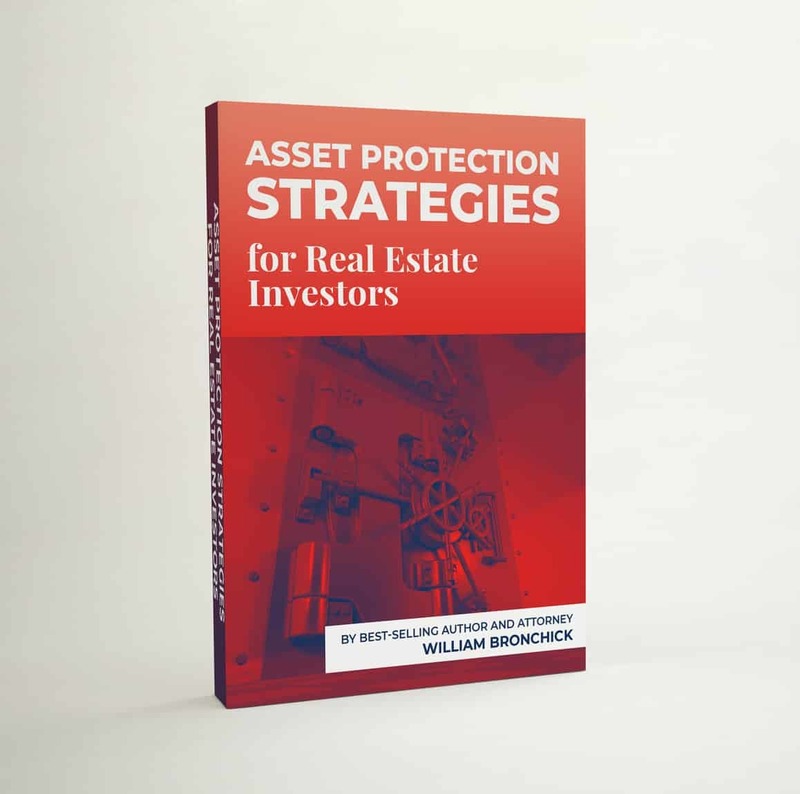 Many Answers do not have merit but some do contain legitimate defenses which will have to be analyzed by the property owner to determine the most expedient course of action. This is usually the case where there are severe habitability problems, fair housing issues, or other issues which will cause the Landlord to lose the case such as technical defenses. The Court is required to set the trial within 20 days of receiving the request for trial. When the Landlord meets his or her burden of proof at trial and the tenant fails to present any evidence to defeat the Landlord’s case in chief, the court will award the Landlord possession of the premises, forfeiture of the rental agreement, damages for past due rent, attorneys fees if applicable, and court costs. The lockout proceedings are instituted in the same manner as for an uncontested case explained above. 2. OTHER DELAY TACTICS. It is becoming more common for tenants to file various motions or pleadings with the State Court or the Federal Court to halt the eviction. The majority of these motions are frivolous and serve no purpose at all other than to delay the case but California and Federal law permit this. Such tactics are successful to delay the case but come at a high expense to the tenant. Because some tenants may be reading this material, we will not discuss such tactics here. Landlords who retain our firm will be given such information in a telephone consultation. Tenants are cautioned that judges will routinely deny such motions and if the Landlord prevails at Court, a judgment will be entered against the tenant in a larger amount for rent, costs, attorney fees and potential monetary sanctions for bad faith. WHAT IS AN ARRIETTA CLAIM? Sometimes when the Sheriff attempts to perform the final lockout, a third party will hand a Claim of Right to Possession form to the Sheriff in which that individual claims to have been an occupant of the property but was not named in the unlawful detainer complaint. The Sheriff will have to immediately stop the lockout until the court hears the occupant’s allegations at a hearing within a week or if the occupant posts 15 days rent, the hearing will take place anywhere from one to two weeks later. If the Court decides that the claim is valid, the Landlord must start the whole eviction process over again as to that tenant by serving a new notice followed by the summons and complaint which the occupant can contest by filing any one of the above responses. If the claim is denied, the court will order the Sheriff to continue with the lockout. Important: The only way to prevent an Arrieta claim is to either serve everyone in possession or to serve a form with the summons and complaint known as a Pre-judgment Claim of Right to Possession. This form gives any unnamed occupant the right to identify himself or herself so that the Landlord can proceed against them. The drawback of filing this form is that it delays the case by an additional five days since the unknown occupant has ten days to respond instead of only five. If you suspect that your original tenants have allowed numerous sub-tenants to move into the rental unit, it is strongly advised that the Pre-judgment Claim form be filed and served. It is the policy of our office to serve a Pre-Judgment Claim in all cases unless we are advised by the Landlord that they do not want it served because there are no unauthorized occupants in the premises. WHAT DO I DO WITH THE TENANT’S PROPERTY AFTER THE LOCKOUT? If the tenant is evicted by the Sheriff, the law allows the tenant 15 days to claim any personal property left behind at the premises. If the tenant vacated without being locked out by the Sheriff, a Notice of Belief of Abandonment must be mailed to the tenant’s last known address and the tenant is given 18 days to claim the property. During this time period, the Landlord is obligated to store the property in a safe place, either in the rental unit or a storage facility. If the tenant shows up to claim the property, reasonable storage charges can be demanded, but it is usually not worth the Landlord’s trouble to pursue the matter since most Landlords simply want to end all dealings with the tenant. Under no circumstances may the Landlord hold the tenant’s property hostage by demanding that the tenant pay past due rent or other charges. This could trigger a lawsuit by the tenant for conversion (stealing) his or her property. Always take an inventory of the personal property and take pictures or a videotape of the items. If the property appears to have a fair market value of less than $300, then it can be disposed of by the Landlord after the 15 or 18 day period. If the property is worth more than $300, the Landlord must auction the property through a public sale. The notice of the time, date and place of the auction must be published in a newspaper of general circulation once per week for two consecutive weeks. The auction can then take place five days or more after the last notice was published. California law requires the Landlord to provide the tenant with a written accounting of the tenant’s security deposit within 21 days of regaining possession of the property unless the rental agreement provides for a shorter time period. The Landlord can deduct delinquent rent, cleaning fees, repairs above normal wear and tear and any other damage which can be reasonably attributed to the tenancy. If there is a balance remaining, it must be returned to the tenant. Landlords are cautioned to take this law seriously and to fully comply. The security deposit law allows tenants to sue the landlord for failure to comply with the law and many tenants have been successful in recovering the full amount of the security deposit plus punitive damages for the landlord’s failure to make an accounting or bad faith retention of the security deposit when it should have been returned to the tenant. IF I HAVE A MONEY JUDGMENT, HOW DO I COLLECT IT? Some Landlords prefer to obtain a money judgment along with a judgment for possession of the premises. The money judgment may be obtained at trial, or if there is no trial, by default judgment. Please note that the judgment would only include rent, court costs, and attorney fees, if applicable. IT CANNOT include any physical damages to the rental unit or any other miscellaneous charges. Those would have to be obtained by way of a small claims court action. In California, a judgment is valid for 10 years. Eviction judgments are extremely tough to collect on because if the tenant has not paid the rent, it is very likely that they are in extreme debt with other creditors. Because of this difficulty, we have chosen to refer our clients to experts in the collection field, South West Collection. South West is an established collection agency with a good track record of locating debtors on behalf of landlords. Please click on the South West link for more information. BIG QUESTION-HOW LONG WILL THE EVICTION TAKE? If you would like our office to handle your eviction case, it will be processed and sent out for filing and service within 24 hours if we have all of your paperwork. Realistically speaking, once your case is filed at the court, you are at the mercy of overworked court clerks who have no concern that you are losing rent every day. Please be assured that our office will do everything possible to push the case through the system quickly, but remember that the old phrase “the wheels of justice grind slowly” is very true in the California legal system. Orange County Uncontested Cases: Average 3 ½ – 4 weeks. Contested Cases: Average 5 ½ -7 weeks. Los Angeles, San Bernardino, and Riverside Counties (Please Note that this firm does not cover cases in the LA Central Judicial District) Courts and Sheriff Departments in these counties are extremely slow due to a higher volume of evictions and overburdened court staff: Uncontested Cases: Average 4 ½ -5 weeks. Contested Cases: Average 6 ½ – 8 weeks. Note: Some cases may be processed faster others may be slower depending upon the Court and the tenant’s delay tactics. There is no law firm that can promise you an exact date for the lockout because there are too many factors to consider.